If you’re one of those people who marvel at others’ Facebook pages with their holiday Elf antics but just can’t muster up the creativity, energy, or brain power to unleash your family’s Elf’s naughtiness (and I’m looking in a mirror right now), today is your lucky day. I am SO excited to introduce you to the cutest way to take a HUGE load off your plate this holiday season: the Just Add Elf™ kit. It’s an all-inclusive answer to the daily struggle of “what the ELF? 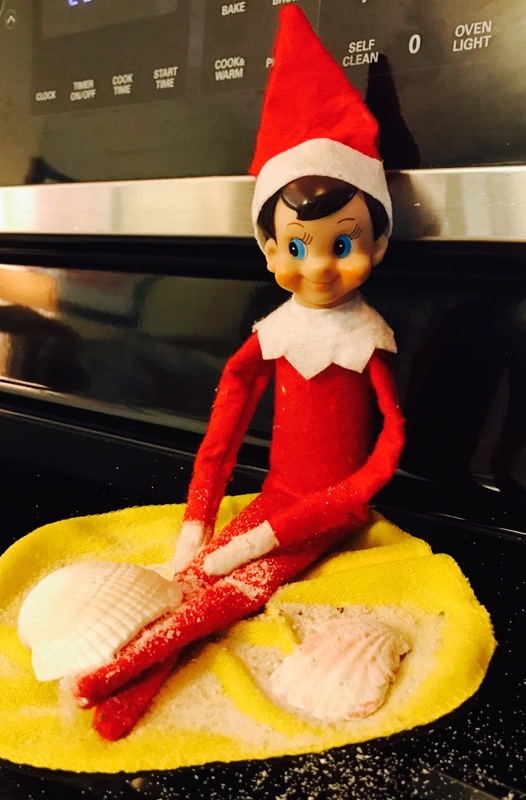 !” No more waking up in the middle of the night freaking out because the Elf got lazy, no more Pinterest fails, no more cold sweats. Each kit includes scenes for 24 complete Elf days (they recommend Dec. 1-24), including ALL supplies (literally everything — all ready to use), fool proof set-up instructions, and letters from your Elf to your kids (personalized ones are optional). The kit also includes several tangible take-aways and fun surprises for your kid(s) to keep from various scenes. – See all sorts of awesome ideas on Pinterest, but going to the store is laughable — especially since it’s 2am and you just have to get SOMETHING done by the morning… Elves fall into comas, right!? – “Pinterest Fail” is a way of life. Did you check some boxes on that list, Smarties? Me, too. But, no sweat because the Just Add Elf™ kit is about to change your LIFE. A bubble bath with a Christmas duck, a fishing excursion, sick Elf, Elf stand up, a napping Elf with hand sewn sleeping bag are just a few of the amazing things your Elf will do in December. Know what you WON’T be doing? Standing in line at Michael’s with the rest of Charlotte. 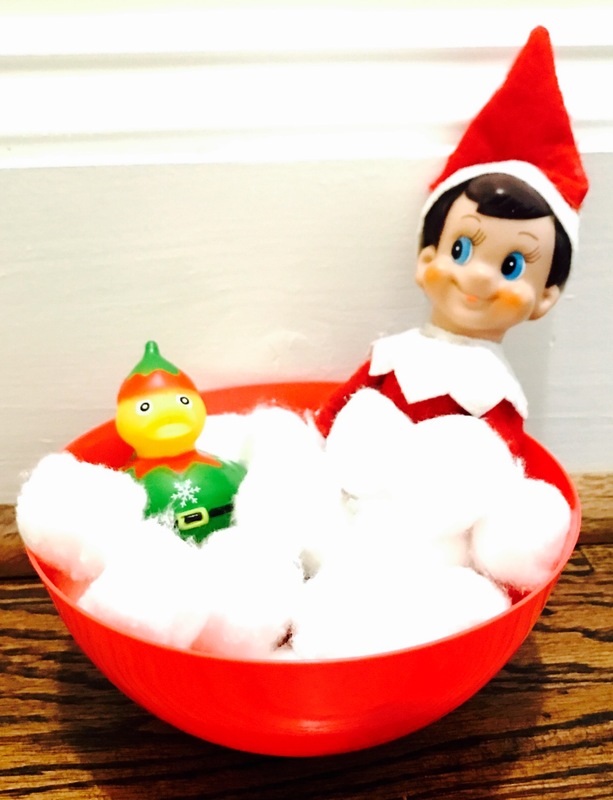 You might just have time for a bubble bath yourself (sans Elf, of course). Option 2: $50 for 24 Day All-Inclusive Kit + Personalized notes with your kid(s) and Elf’s names. 3. In the Comments below, tell us your Elf’s name. That’s it! Winner will be picked at random on Friday, November 17. **Winner will be responsible for picking up her kit locally in Charlotte between November 27-December 1. ** Good luck, Smarties! We have a red one named McBean and a Carolina one named Granville. Our elf is named Raji 😁 With our third child to be born December 5th, this kit would be a HUGE (HUGE!) help!!!! Our Elf, Sammy, tries to keep up with the all mighty Pinterest, but fails…miserably. This may give him a fighting chance and our 3 – soon to be 4 kids (we are scheduled to have our 4th around Thanksgiving) a few good laughs this holiday season! We have Joseph the elf, and not sure where that name came from years ago! We have Chippy and Ruby! Gilly the elf over here! Our Elf, Ethan (named after Miller’s 1st crush) will love this amazing kit! What a fabulous idea! This is AMAZING! 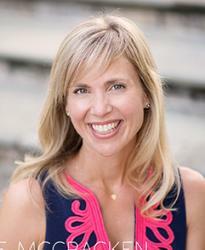 I have two kids and two elves – although the elves always do the same thing. Fluffy Pants and Grace are their names. My kids wrote a letter to Santa a few years ago to please send a “girl Elf” to my daughter. I love the joy that kids have each morning but I am running out of ideas…. Our elf is Jingle! Thanks. Mookie the elf. Our kids have been asking about him for months! They can’t wait for their little sister to get involved with the search now! Love this idea! Our elves Chippy and Violet Renee arrive next week and my kiddos can’t wait! This is one of our favorite parts about Christmas! Jerome and buddy are our elves names. This is awesome! Our elf Homer NEEEDS this …. and so do the grownups in Homer’s life. Our elfs name is Robin. He is a boy. At the time Robin came to our house, my boys swim teacher was a girl named Robin. So between her and Batman’s side kick… he is Robin. I ask every year if it is a new elf or if it’s Robin. Robin is on about his 5th year. What a great idea! This mama would love some help for our Elf, Zipper! My kids named our elf Sam. We don’t have an elf yet. I just haven’t had it in me. My son would love it if we finally got one though! I’ll have my 3 year old name the elf this year! Our elf is Red, very original. My son tried to change his name to Blue last year and I told him it would give Red an identity crisis. Happy thanksgiving,Merry Christmas! 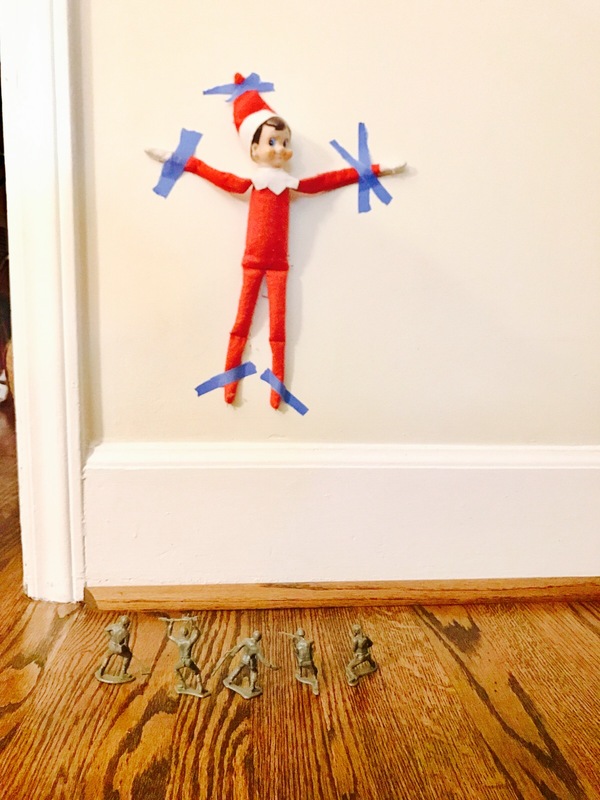 Our elf is Jingles and he is very loved by our boys!